3+ rotations in pirouettes, 4+ rotations in complex fouette or a la seconde sequences, ambidexterity in leaps, jumps, battements, full splits flexibility, etc. If a routine has received a Diamond award and is registered to compete in an additional Aspire competition, it is eligible to request registration into a higher skill level at the next competition during the same season. If a routine has received a Sapphire or Emerald award and is registered to compete in an additional Aspire competition, it is eligible to request registration into a lower skill level at the next competition during the same season. On the spot choreography to a 30 second piece of music. Judged on creativity, quality of movement, musicality and interpretation. Routine that contains traditional jazz movements and technique. Routine choreography should display interpretation of the lyrics, emotion and content of the music; while encompassing the use of ballet, jazz and contemporary technical skills. Routine utilizing a Broadway or Movie Musical Song incorporating dance, characters and/or costumes. Routine must include classical or contemporary Pointe technique and steps. Pointe shoes only. No Pointe routines will be accepted in the amateur skill level. Routine containing tap technique and primarily tap work. Tap shoes only. Routine must include at least 15 dancers and be 4-15 minutes long. May contain any style or combination of styles of dance with a story line or theme. 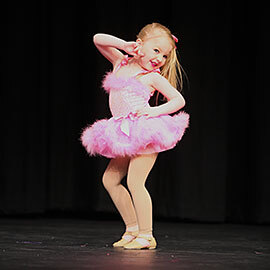 The routine may include multiple ages, levels, dance forms, props, stage sets, or special effects. Please consider your genre carefully and register for the genre that best fits your routine. Routines registered in less popular genres (such as Novelty/Musical Theater) may result in a single competitor within a skill and/or age category. Single category solo competitors are not eligible for 1st place awards. Aspire Dance Pro reserves the right to combine genres within the same skill level and age category based on final registration levels. Additional time cannot be purchased. Penalties/deductions may be applied at the judges discretion if routine exceeds time limits. Pre-performance: Stored in dressing room or vehicle until transported backstage. Post-performance: Stored in vehicle for remainder of event. Stage: Must fit within the left/right stage or performance area without impeding dancer entry/exit. Auditorium: Must NOT be visible from audience area until they are ready to go on stage. Routines exceeding timing or violating storage and/or size rules may be subject to penalty deductions during adjudication.